The Ari Hakadosh reveals us that Moses\’s root soul came from the good side of " הבל " (Abel, the son of Adam) , which is the letter " ה " and Balaam came from the bad side, which is the letters " בל ". They were both connected to the sefira of "דעת ", Moshe was connected to the side of holiness and Balaam to the negativity and impurity. They were both prophets. The words come out of the mouth as "הבל ", "vapor" of the mouth. The Ari explains that Balaam, with his words and consciousness, wanted to connect Moses and himself together again (as they were in Abel) and let the evil side (Balaam) overcome the good (Moses). Another connection to the name is in Numbers 23:20 " הִנֵּה בָרֵךְ, לָקָחְתִּי; וּבֵרֵךְ, וְלֹא אֲשִׁיבֶנָּה ", the first letters of the first three words are spelled "הבל ", the Ari explains that this is where he wanted to take the good from Moses. Bringing negativity on Moses would have caused him a disconnection from his higher root of the level of Daat "דעת ". This sefira is actually the result of the connection of Chokmah and Binah ( Aba and Ima or Supernal Father and Mother). As a connection to the Light for the whole nation of Yisrael, Balaam and Balak knew that if they were successful, it would be like a spiritual beheading for the Israelites.
" וְלֹא-הָלַךְ כְּפַעַם-בְּפַעַם, לִקְרַאת נְחָשִׁים; וַיָּשֶׁת אֶל-הַמִּדְבָּר, פָּנָיו "
"He went, not like the other times, to meet with enchantments, but he set his face toward the wilderness"
" וַיִּשָּׂא מְשָׁלוֹ, וַיֹּאמַר: נְאֻם בִּלְעָם בְּנוֹ בְעֹר, וּנְאֻם הַגֶּבֶר שְׁתֻם הָעָיִן "
" And he took up his parable, and said: The saying of Balaam the son of Beor, and the saying of the man whose eye is opened"
In the Hebrew verse we see that there are four words that are missing the letter Vav "ו ". This letter represents the six Sefirot of Zeir Anpin. That was Balaam\’s preparation to cut the Light from the Israelites. "מַה-טֹּבוּ אֹהָלֶיךָ, יַעֲקֹב; מִשְׁכְּנֹתֶיךָ, יִשְׂרָאֵל "
" How goodly are your tents, O Jacob, your dwellings, O Israel!" Those six words give us the power of protection. The sum of the first letter of each word adds up to 110 and that is equal to "נס ", "Miracle". Also small Gimatria 11, which has the power of overcoming negativity. The word "מַה" (=45) itself represents the name of G-d at the level of Zeir Anpin, the letter "ו "of the Holy name. The first word " מַה ", in this parasha appears at the top of the column of the Torah scroll. The Torah is written on 248 columns of 42 rows each. Every column starts with the letter " ו ", except for six places, beginning with the first letter and word of the Torah " ב " of " בְּרֵאשִׁית ". The six letters are " ביה־שמו"numerical value 363 " המשיח " = The Mashiach. Also same value as " משה־חי ", Moses is alive. The Torah (Numbers 25:1) tells us what happened " וַיֵּשֶׁב יִשְׂרָאֵל, בַּשִּׁטִּים; וַיָּחֶל הָעָם, לִזְנוֹת אֶל-בְּנוֹת מוֹאָב "
The word " לִזְנוֹת " describes the spiritual process. 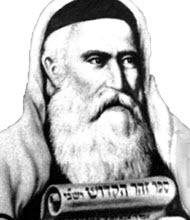 The letter Lamed "ל " connects to the upper three sefirot, it is built from " ו " and " כ " (together 26), the next two letters are " זנ " and it means "to feed" " ו " is the channel for Zeir Anpin and the sixth sefira of Yesod, " ת " is the last letter of the Alef-Bet, for Malchut. It this case the Malchut of the negative side.
" וַיִּצָּמֶד יִשְׂרָאֵל, לְבַעַל פְּעוֹר; וַיִּחַר-אַף יְהוָה, בְּיִשְׂרָאֵל "
The Light force comes from "above", by the merit of our leaders and spiritual connections. Our actions determine if we can hold and use this light or lose it to negativity. By the merit of Moses\’ spiritual strength the Israelites were protected from the top and were saved from total destruction. Previous Previous post: Emor- What is time?